Mark has worked in the agricultural spatial information sector for 15 years following previous roles in various agribusiness markets and on farm experience. Mark’s involvement with SST Software has included roles as a customer, business partner and now general manager of the Australian operations based in Brisbane, QLD. 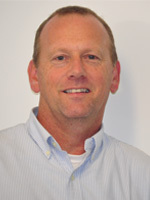 After spending a number of years in the SST Head office in Stillwater Oklahoma Mark returned to Australia to setup the subsidiary of the USA business working with Agricultural Retailers and Agribusiness in Australia to support farmers and service providers with information management opportunities. A key part of Mark’s role for SST both while in the USA and back in Australia has been the strategic development of the agX platform as a standardised collaboration platform for Agricultural data management.